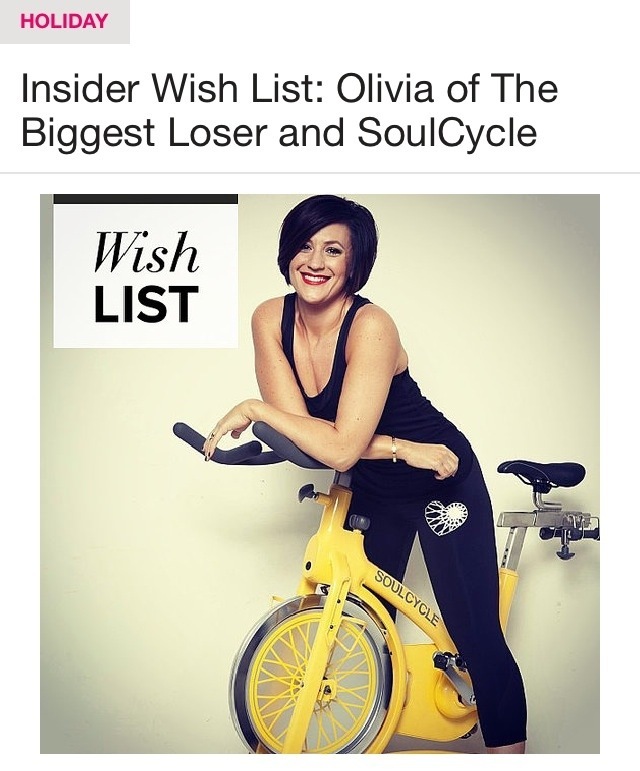 “If there has been one company that I am long overdue to mention, it’s Sparkly Soul. A little fun fact about me is that my hair never ever does what I want it to, ever. From frizz, to flyaways, ain’t nobody got time for that. Fortunately, Sparkly Soul offers up a plethora of fun, sparkling headbands that stay in place, no matter how hard or heavy I go in the gym. “Good news … there’s no more fiddling with your headband because you feel like your head is too small or the headband is too tight and causing a headache. “After years and years of searching for the perfect elastic headband, I am extremely happy and relieved to say that I have finally found The One. This is actually a more difficult task than one might think; maybe my head just has a wonky shape, but all the other headbands I’ve tried always end up slipping off or giving me a headache. For a while I kept trying the Goody headbands that promised to be “ouchless” and “slide-proof” because I saw other girls wearing them around with no problems, but for me, going for a run or working out at the gym in those always turned into a never-ending battle of either trying to keep my sweaty hair out of my face or adjusting my slipping headband every 2 minutes; they would even slip off during non-rigorous activities like waiting for my water to boil to make lunch. So. Annoying. 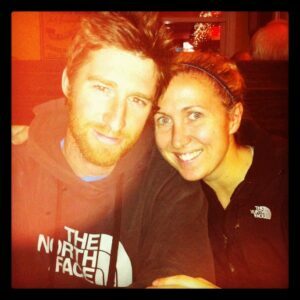 “I have tried out every headband brand out there that I know of. I have to report–these headbands rock! Not only are they super cute (who does not love to sparkle? ), but they are super effective. I have had my Sparkly Soul headband for about two weeks now. I wanted to try it out doing as many activities as possible so I could give you a complete review. I have ran in it–outside and treadmill, taken spin class, yoga, strength training, HIIT workouts videos, grocery shopped, chased after a bunch of kids and a lot more boring stuff…my Sparkly Soul did not slip once! It stayed put and kept my hair out of my face, all while looking cute at the same time. “Oh, hey, you know what fall brings? COLLEGE FOOTBALL! The team at Sparkly Soul sent one fiery red, one in my Gators’ orange and blue. “Sparkly Soul makes the most amazing headbands. Not only are the pretty, but they are so functional and amazingly enough don’t move. No, seriously, they do not move. At all. If they can stay on my head they will stay put for anyone. My head normally is like a slingshot with headbands. It’s all cute and pretty and then goes projectile. I’m sure I’ve taken out small birds in previous headband attempts. I first fell in love with Sparkly Soul when I was searching for the perfect headband for my Snow White costume. Remember this little thing? “During my interview with PIX 11, you will see that I am wearing my Sparkly Soul headband. Dying from the Barre workout at Exhale with Rachel Nicks, I am still sparkling with my Sparkly Soul. For as long as I can remember, I’ve struggled with my hair during my workouts. My hair gets in the way, looks unruly, and I have always been jealous of those with nice, long straight hair that stays neatly in a pony tail while doing cardio. 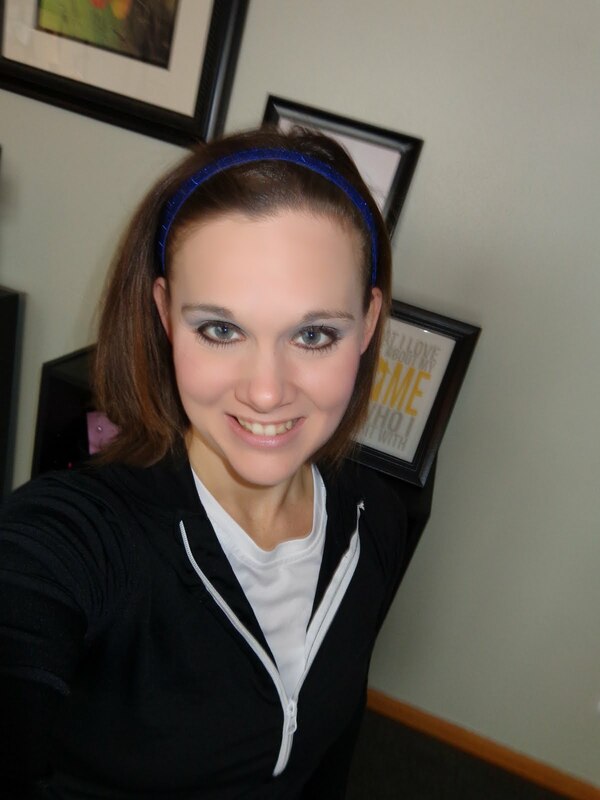 I’ve tried numerous styles and headbands; I find most slip around on my hair during a workout, don’t tame my fly-aways, and I just don’t love most of the styles. But I LOVE my Sparkly Soul; here’s why. 1. 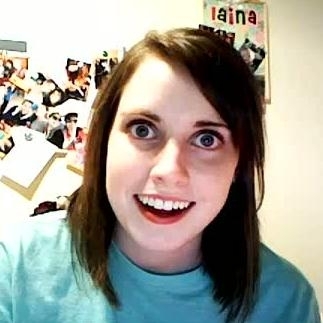 Nonslip: At lunch today, my brother’s girlfriend told me that headbands bother her when she works out. They always slip around her head. Not the case with Sparkly Soul. If you wear it towards the front quarter of your head, you are ensured that they won’t slip. I even sometimes push them further back (as you can see in the picture above) and they still don’t slip. 2. Different Colors: There are so many to choose from, you can have one that will fit every outfit. Personally, I love my gray sparkle and wear it more or less with any color combo I have. They also have a thinner version and a thicker version of the band. To mix and match, try wearing two or even three at once. 3. Tames my curls and friz: I love wearing my Sparkly Soul towards the front of my head (as suggested). It covers the craze that my hair becomes during a workout. 4. Their attitude! : Never underestimate the importance of customer service. I’ve never met a nicer, more uplifing group of people than those who work at Sparkly Soul. They make you want to support them. 5. Fashion Forward: They are stylish. Nuff said. 6. Wear them anywhere: and I mean anywhere! On the website, Sparkly Soul says you can wear their bands for yoga, running, cycling, spinning (all true and done by me) as well as for dance and hiking. I’m not gonna lie, when I got it in the mail I kind of had the same reaction. I have been really into non-slip headbands lately, and finding a brand that makes them in pure glitter form is pretty exciting. Aside from the fact that they have the ever-important velvet liner, these bands are a little bit different than most non-slip headbands. Instead of having only one small elastic portion on them, the entire band stretches. I have to note that this is not actual glitter glued to the fabric. It’s actually just textured metallic fabric that has the look of glitter. It’s really quite pretty in person, and I don’t think the pictures do it justice! “I wasn’t expecting much when I tried the Sparkly Soul headbands out, but I love sparkles so I figured I’d deal with the slipping for some added sparkle. However, I am hear to tell you – THESE HEADBANDS DO NOT SLIP! It says on the instructions that you should be careful not to push the band back too far, but my sister pushed the limits and still didn’t have any slippage! Perfect for working out, or just adding a little sparkle to your day, the headbands come in two sizes, thin (3/8 of an inch) and wide(5/8 of an inch), and sparkly all the way around. They have SO many colors to choose from, limiting yourself is very hard. I know I will be going back to purchase some more! I really feel like I need a black one, a blue one, a green one, and maybe every other color!! 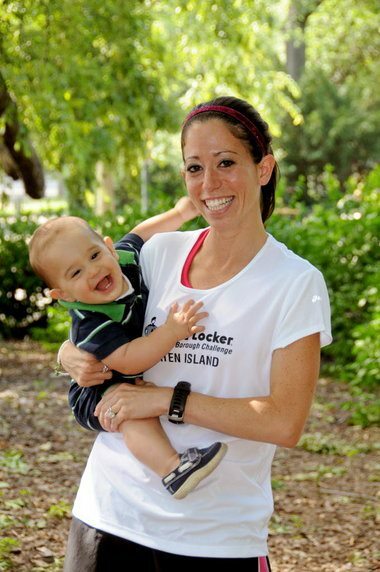 While the company was created by a marathoner and triathlete for all the women “who find their strength and soul while pushing themselves to their athletic limits”, I think it is a product that all moms will want too! I can’t tell you how many times I’ve struggled to get both the kids ready to face the day only to find out that there is little or no time left for myself. Now I just throw on my Sparkly Soul and put my hair in a pony and I’m good to go! “I have been wearing both of these headbands a lot since then! I love them and LOVE that they stay put too!I have to say the thicker one, which is the pink, is my favorite. 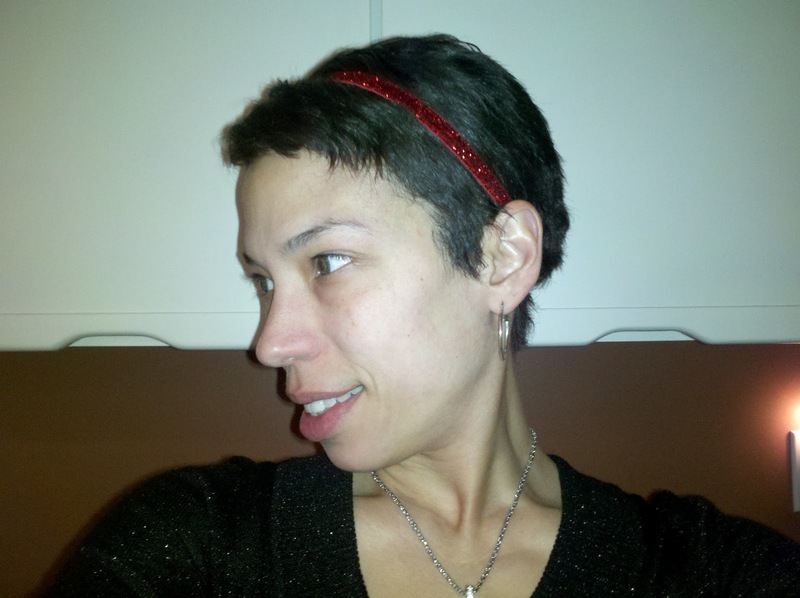 “Last year I won two Sparkly Soul headbands from Victoria and fell in love. Every headband I had tried before these either slipped or gave me a headache. I was skeptically when the company said they did neither but the sparkles attracted my attention. Once I tried them out I was sold. These headbands have staid put during the Go! St. Louis Half, the Rock’N’Roll Savannah Half, multiple yoga inversions, volunteering at the hospital (hence the above pic) and so much more. 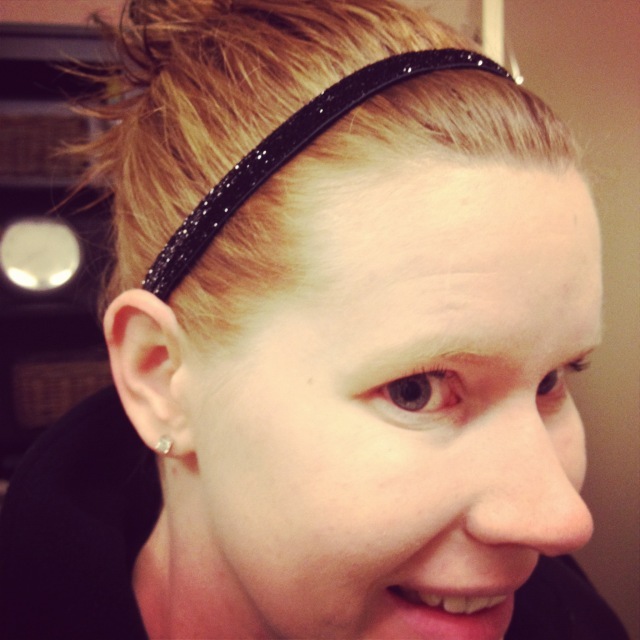 “Last year, I posted my review for Sparkly Soul headbands. I love love love these headbands. I have a very large head and have had a hard time finding a headband that stays in my head and also doesn’t give me a headache. Ever since I got my first Sparkly Soul headband last year, I have been in love. “I adore my very short hair. It fits my lifestyle and it is low maintenance. But it does require some maintenance. 🙂 I sweat a lot when I exercise, I wear contacts and those two combined can make for a very unhappy Tasha. I have been known to rock hats, scarves, braids and whatever else I can to keep the drama to a minimum. (Remember this blog post about my hair?) And yet there is one little, well, BIG problem that alters my decision….and it’s not even fashion. It’s headaches. I have MAJOR headaches. I have the type of headaches that lead to seizures. I am on medication for them. You can breathe on me and I will get a headache. Anything I put on my head has an expiration because the pain becomes more uncomfortable than the sweat in my eyes. That’s when I was introduced to Sparkly Soul…They have ALL of these fantastic colors (some sparkly, some not, some multi colors) and I settled on a pink thin one and a black thick one. (I’m boring and cautious but I did opt for a little bit of sparkle). There are days that I am out for twelve or thirteen hours. They promised me that the headbands would fit my head and that they would not leave me with a headache. I was hopeful but, well….. Wow! I wore my thinner bling to Zumba the first night and it was a hit, not just because people were staring at it but because I had no sweat in my eyes and I DIDN’T have a headache!!!! I wore my thick one the next day. I’ve worn them just about EVERY DAY since then. But I was surprised that they did more than what I thought they would. Even though I am in the public eye a lot, I, honestly, hate to be seen. It’s a habit I acquired as a child. I didn’t want to wear the sparkly headband because I didn’t want to draw attention to myself. It gets deeper. I have been afraid to let myself shine. That’s part of the reason why I chose the black headband even though I have dark skin and dark hair. But I felt like I REALLY stepped out of my comfort zone with those headbands. And it felt good to feel “girly” (I work in a gym and I have never been the girly type but that’s another blog). And it feels good to not criticize myself or care about being criticized. So, I decided to come ALL the way out…. “Running and working out is not something I enjoy, so if there’s anything that can make the experience more enjoyable, I’m in. I recently heard about Sparkly Soul on twitter and I was intrigued. 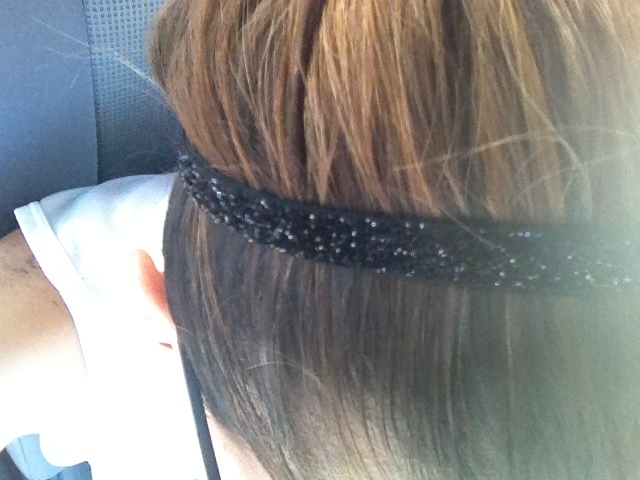 They sell these super cute headbands that always stay in place and are covered in glitter! (If you know me at all, you know I love anything that sparkles!) Not only do they provide some cute fun for your workout, but they also motivate their customers by encouraging them to “sparkle” aka get moving! 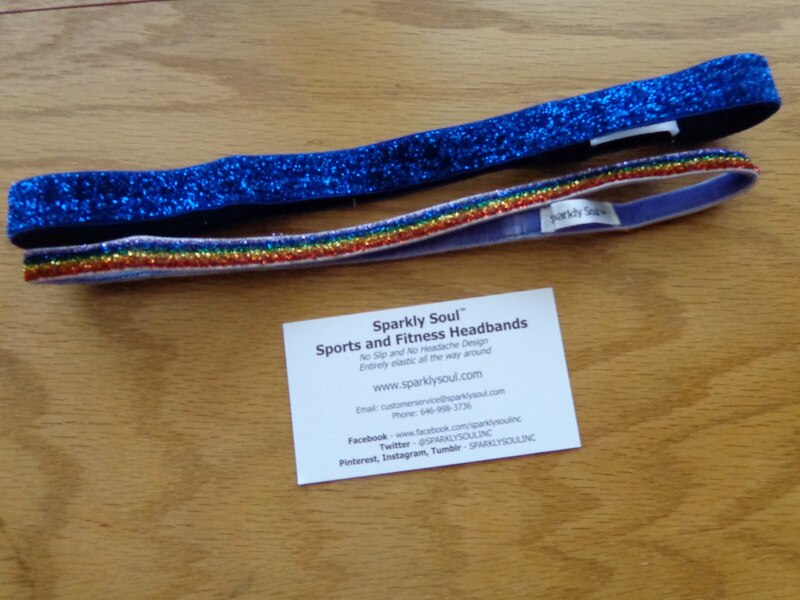 “The one thing you need to know about the headbands from Sparkly Soul it’s that they’re AWESOME! And I’m not just being nice because they’re letting me give one away. I’ve gone through several different headbands and this is the first one that actually works for me. I have a pretty tiny head, seriously, it’s child size, so I always end up having to bobby pin sports bands in place that way they don’t slide down during runs. Looooove my green wide band! When I got my Sparkly Soul headband, I admit that I was a bit skeptical that it would stay on so I immediately tested it out. I put it on and proceeded to thrash my head around like I was at a Metallica concert. Eureka! They weren’t kidding about the no-slip grip! Oh, what’s that? You thought I’d test it by taking it for a run? How boring. There may or may not have been some air guitar involved, too… I’m so glad there’s no proof of this, uh, test. 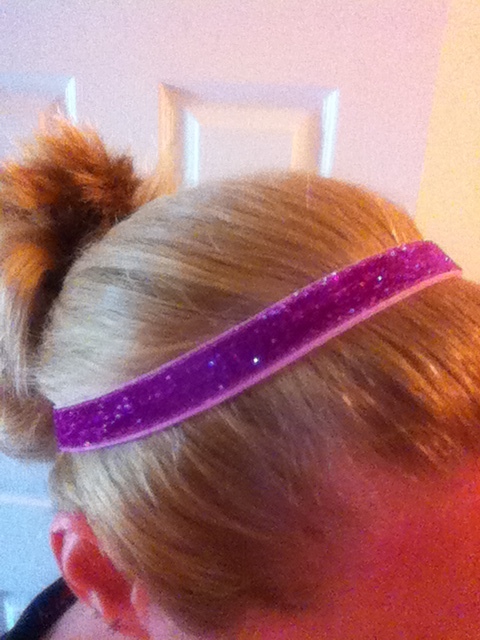 “Sparkly Soul Headbands are no headache and no slip….yes, REALLY no headache and no slip. 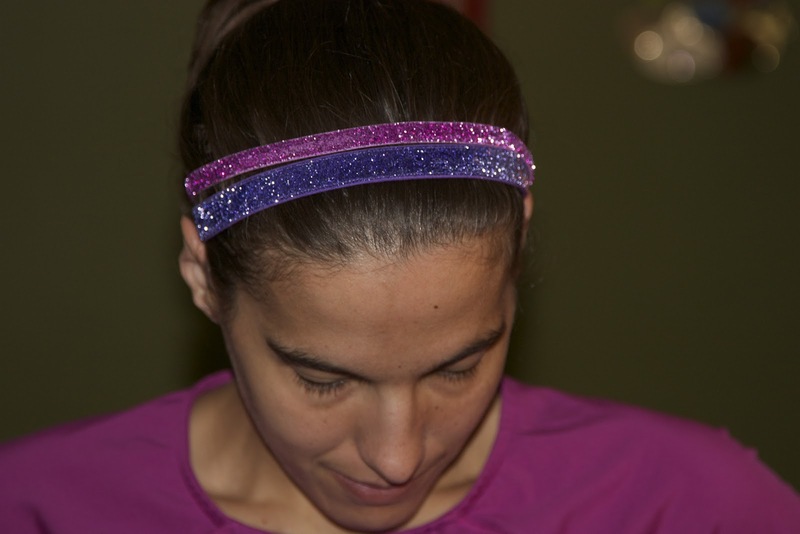 I love some *sparkle* in my life – and these headbands are a great way to add a little something to your running wordrobe. Great to wear alone or paired with a pony tail. These fit adults and children and are great for any recreational activity when you want to keep your hair out of your eyes. 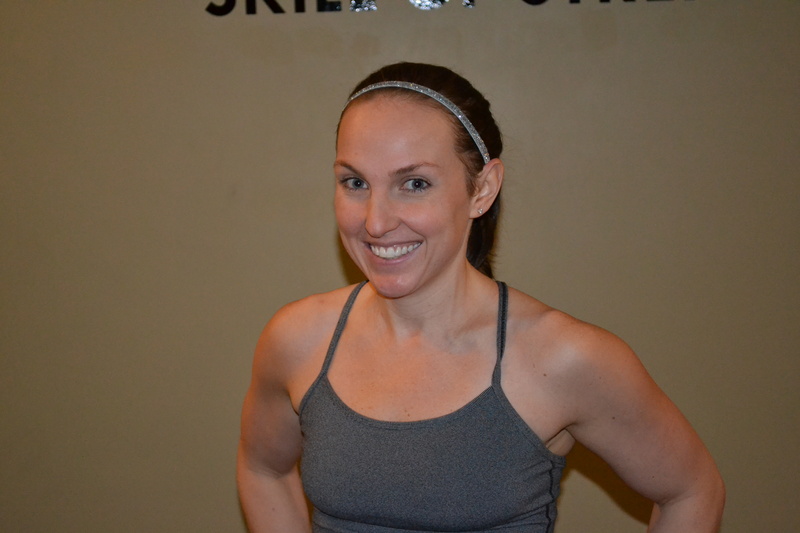 “As a lover of running, hot yoga, and gym-going, I wear my share of headbands. 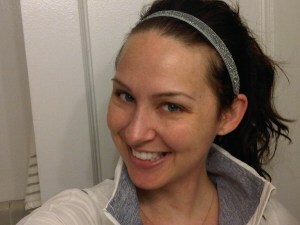 But as a lover of looking cute while I workout and being all matchy-matchy, I only like to wear certain headbands. Normally I am quite the creature of habit, but I was given the opportunity to test out Sparkly Soul headbands. I figured, hey why not. A lot of my fellow blogger friends glow about them, so it was time for me to get on board and see what the fuss was about!I had my choice of colors to review, so of course I went with my favorite color evahhh, turquoise. Although for ordering purposes, the name is Teal. I’ve worn this magical glittery looking elastic band through several runs and many, many weights sessions. I’ve even worn it through a couple naps and overnight to sleep. No headaches. No snags. No slipping. “I told you how cheap I am. But, not only am I cheap, I’m a pretty minimalist runner. I think this has something to do with my cheapness. I don’t run with a lot. Give me a pair of shoes, and I’m good to go. I don’t need a Garmin (although I do run with my phone – for safety and for my RunKeeper app) and I refuse to wear a fuel belt. (Just not my thing.) However, besides my shoes, I absolutely have to wear a headband. 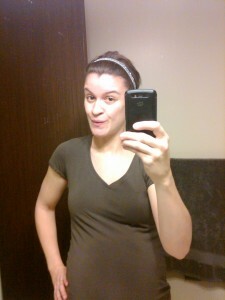 Something they don’t tell you when you’re pregnant is that you don’t lose a lot of hair while you’re pregnant. But, after you have the baby, your hair falls out and grows like crazy! I have a ton of “baby” hairs that stick straight out of my head and hang down in my face, unless they are pulled back with a headband. I used to use those thick cloth headbands, but those always fell off my head. When I was feeling really cheap, I used pre-wrap, but every time I went to adjust those, they’d break and I’d be without a headband again. I finally wised up and bought some non-slip headbands. They were great! Until the elastic in the back stretched out and they no longer would stay put. Wah wah. But, I finally found the answer to my slipping headband problems. Sparkly Soul headbands to the rescue! I’ve been eyeing these headbands all over the blogosphere for months! 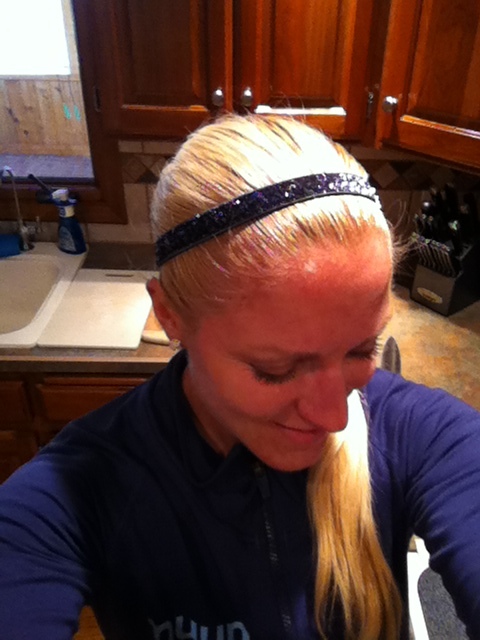 Sparkly Soul was nice enough to send me a thin and a wide headband to try out on my runs. “I love some *sparkle* in my life – and these headbands are a great way to add a little something to your running wordrobe. Great to wear alone or paired with a pony tail…These fit adults and children and are great for any recreational activity when you want to keep your hair out of your eyes. 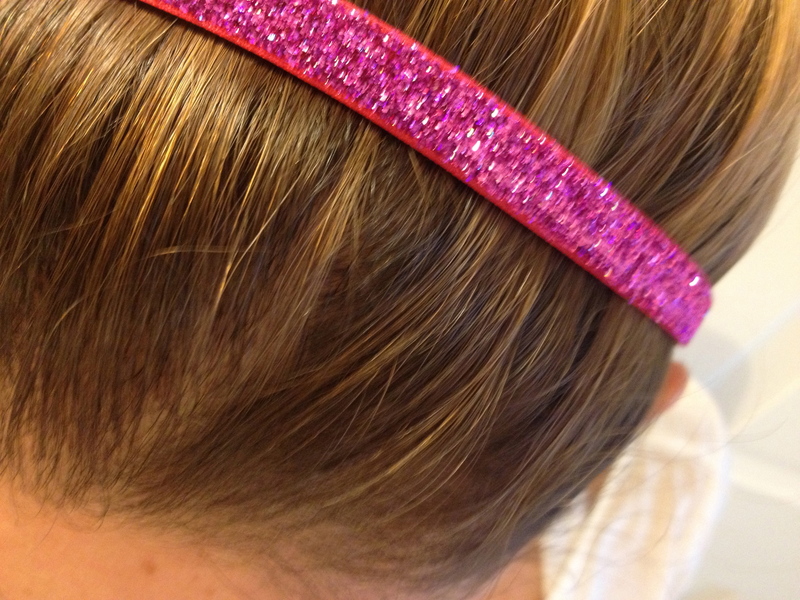 They offer sparkle around the entire headband, not just the top. The whole headband is elastic and stretchy – hence no headaches. We struggle with enough out on a long run – who needs to add a headache to the mix. They offer dozens of colors and designs. 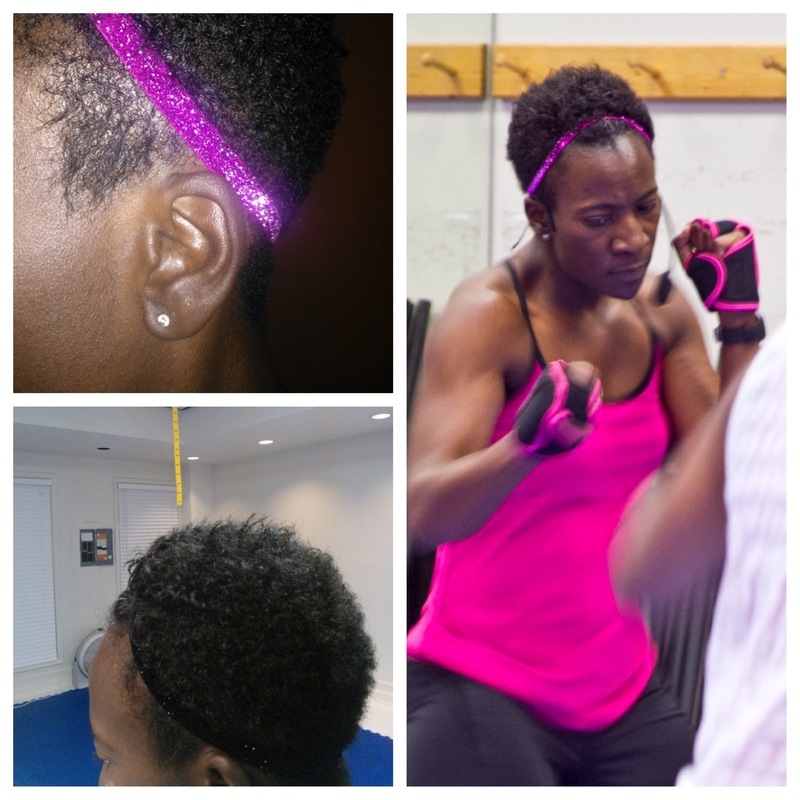 “Even before I tried Sparkly Soul headbands for the first time, I loved the concept: sparkly, stylish headbands that are designed to stay in place when you’re working out. Too good to be true? Nope! I’ve been wearing Sparkly Soul headbands for over a year now – using them for everything from running to yoga to spinning to Pilates – and I am still their biggest fan. I was on the bike for an hour and my headband didn’t budge. Like I said: Best. Headbands. Ever. “One other thing that may not ring true with the fellas is a little treat or sparkle added into your day and work outs can make you really feel good. I got a gorgeous pink sparkly headband. OH ya know I love me some sparkles! They claim that they are no slip and super comfy, won’t give you that awful head band headache that so many of these bands can do. I could not wait to put it to the test. You may have heard me talk about my peanut shaped skull before but let me refresh your memory….my head…its shaped like a peanut! It seems like so many of these so called “sports headbands” offer you comfort and the ability to do their job and stay where you put them. Keeping the hair out of your face and sweat from your eyes just don’t do it. Or they pop off as soon as you break a sweat or start jumping around. So I put my Sparkly Soul headband to the test. I have ran in it, i have work out, WOD’ed, Burpee’d and sweated in it. I have worn it out grocery shopping ,you know how sweaty that can get ; ) and just around the house to keep my hair from my face. i have a lot of hair. 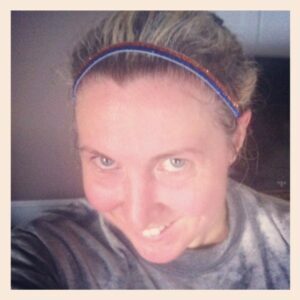 So my verdict on the Sparkly Soul headband…. Comfort 10+ : Absolutely no headache at all, very comfy and easy to put on. No Slip and Grip 9: If you wear it as instructed towards the front of your hairline it really does stay put even in the sweatiest of times. “Keep your eyes on the prize, or at least the road with a sparkly headband from sparklysoul.com. I hate having hair in my face when I work out. I like everything swept back neatly so I can concentrate on the task at hand. 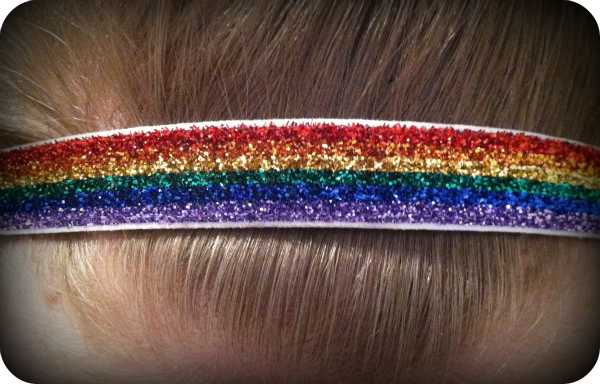 These non-slip headbands come in two widths (3/8″ and 5/8″) and a dozen different sparkly colors. “How many times are you fixing your hair during a workout? What about when you are running a race and your headband falls off? This happens to me all the time, and I HATE it. It’s so annoying, and I have better things to do while I work out then fix my hair. Then the AMAZING people at Sparkly Soul contacted me to see if I would try out their headbands. Of course I would!! I got them in the mail, and was so excited. I took off the headband I did have, and immediately put it on. It was instant LOVE! They sent me two styles of headbands: 3/8 (thin) and 5/8 (think). I got the gold thin and silver wide headbands. I wear the gold a little bit more because it’s ASU colors. Plus, it was the ASU/Arizona game. I had no choice It’s a requirement!! 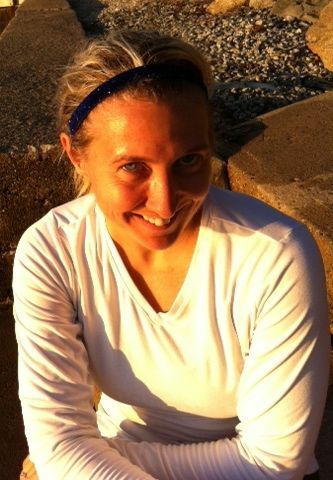 “[W]hen it comes to accessories, wearing comfortable, and non-slip headbands is just as important. Let’s face it, when you are sweating, running, cursing burpees, the last thing you want to worry about is your headband sliding down your face or giving you a headache. I find that SO ANNOYING! So I was one happy woman, when I discovered Sparkly Soul on social media. I purchased my first 2 over the summer and I am not only a loyal customer, but an Ambassador. I LOVE the product, the company, and their positive message that they deliver! “Awesometastic Headbands! Seriously! These things are awesome! And, their people are pretty awesome, too! The contact that I have had with them has been quick and courteous. They have gone above and beyond in the ‘helpful’ category. Like most people, I was struggling with fly aways and headbands that claimed to stay in place but, in all actuality, did not. I had spent a small fortune on various headband purchases and was about to give up all hope when I stumbled across Sparkly Soul headbands via a blog post earlier this year (possibly even very late last year). Dang it!, I wish I knew which one so I could link back up to it. It may come back to me as I work through this post. If so, I will edit it in! I used a blogger coupon code and ordered three bands; when they arrived I eagerly plopped the black one on my head and headed off to my CrossFit box. 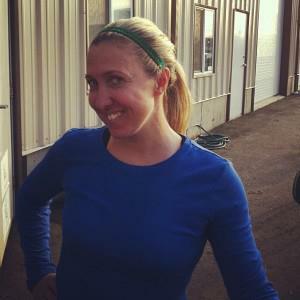 Not only did I receive compliments from my fellow lady boxmates but the headband STAYED in PLACE the ENTIRE WOD! For real! I was instantly in love The Sparkly Soul headbands rock my world because they have the velvet, non-slip lining around the entire band. There is no elastic piece on these headbands! I love this! And, they fit comfortably (no pinching or tugging at those little hairs near my ears!) and they do not cause headaches. In fact, I hardly notice that I am wearing one at all and often have to ‘touch’ my head to be sure that I have one on before I head out for a WOD or run. Awesomeness! Since that first day, I have used the black band for just about every WOD and run. It has even survived a Tough Mudder event with me! For real! Check it out! It is still on my head (and, in the spot I put it!) 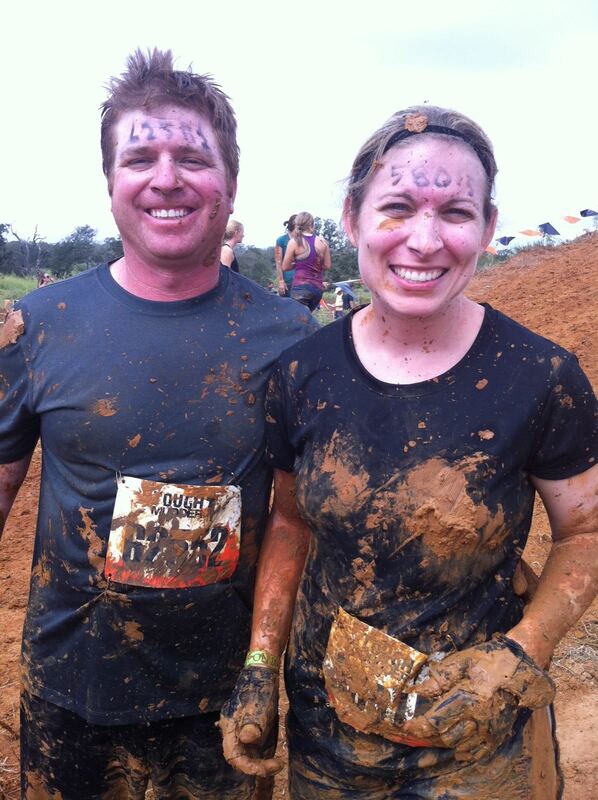 at the end of Tough Mudder: Austin! Since the Tough Mudder event, I have added more Sparkly Soul headbands to my collection, I have gifted Sparkly Soul headbands to my friends and I have even convinced by best (running) pals to spend a small fortune on them! Our little running group has purchased several of these headbands for various events; every single one of my friends have since added to their collection once they found that these headbands seriously stay put! “I love this charcoal Sparkly Soul headband. “For me, feeling good in my workout clothes (and accessories) is pretty important. If I go to the gym feeling dumpy in my gear, my workout just feels… blah. I’m kind of in need of a big workout gear overhaul, but I at least have a few items that keep me feeling motivated to move. First, of course, I have my awesome Sparkly Soul headbands. 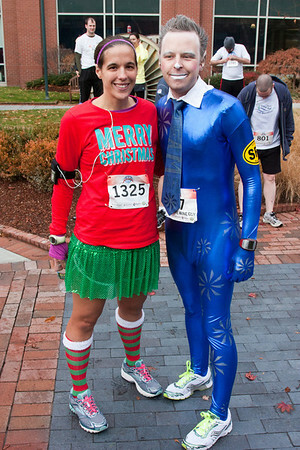 “Sparkling while running: sign me up. I had read a lot about these headbands, everyone seemed to be crazy about them so I wanted to give them a try. They are lovely and you don’t need me to tell you that as that is obvious. What you need me to tell you is that they REALLY don’t ever E.V.E.R fall off. I had tried several headbands before as my hair tends to get in my face specially with yoga. They all slipped away as I did my first downward dog. If yoga didn’t keep them in place running was out of the question. But people swore by these sparkling beauties so I had nothing to lose. I wore the black one for a 3-mile run. No slip. Nada. I wore them later to the gym. No slip either! If they hold up in those two activities yoga will be no problem. 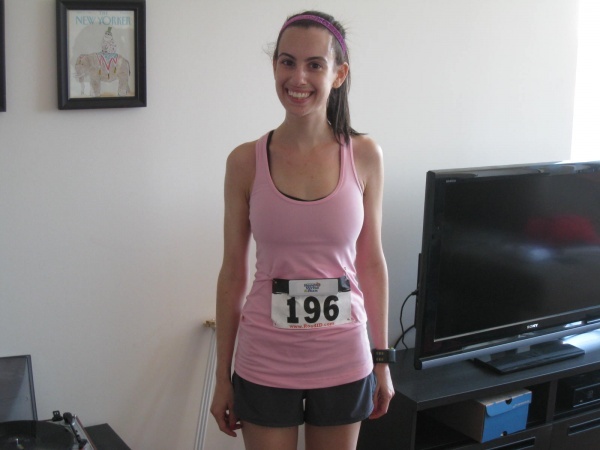 “It is well documented on this blog that I always wear headbands to work out and run races. Over the last three years, I’ve collected a lot of headbands from a few different brands. 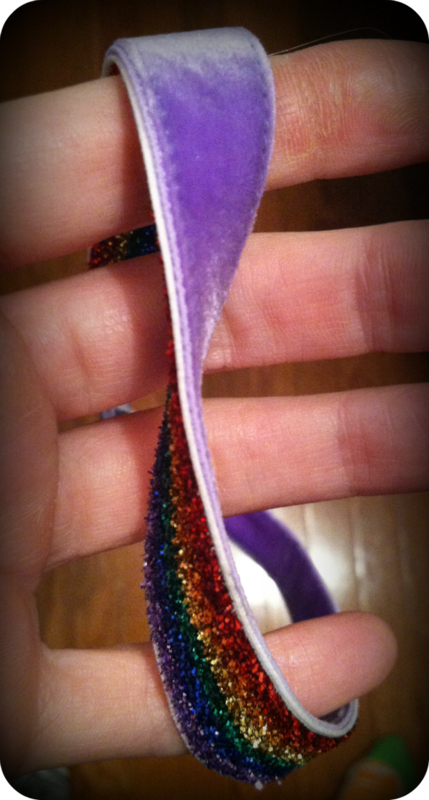 My most recent headband obsession is Sparkly Soul. The headbands are (obviously) sparkly, they’re cute, they stay in place and they’re just a lot of fun. I own two; pink and blue, both in the thin style. “Have you ever had a bad hair day that’s so bad that even a pony tail doesn’t look right in your hair? I have! Especially since I am more active and doing so much this summer. That’s why I feel in love with Sparkly Soul! They make beautiful head bands that hold your hair out of your face and come in all different colors. They are sparkly and beautiful and add that little sparkle you may need to make yourself look more put together. Flyaways can make someone look so frazzled!! “I read some reviews of the headband on other blogs and saw the praise they were getting on social media so I decided it was time to try it out for myself. I have to admit, I was skeptical. 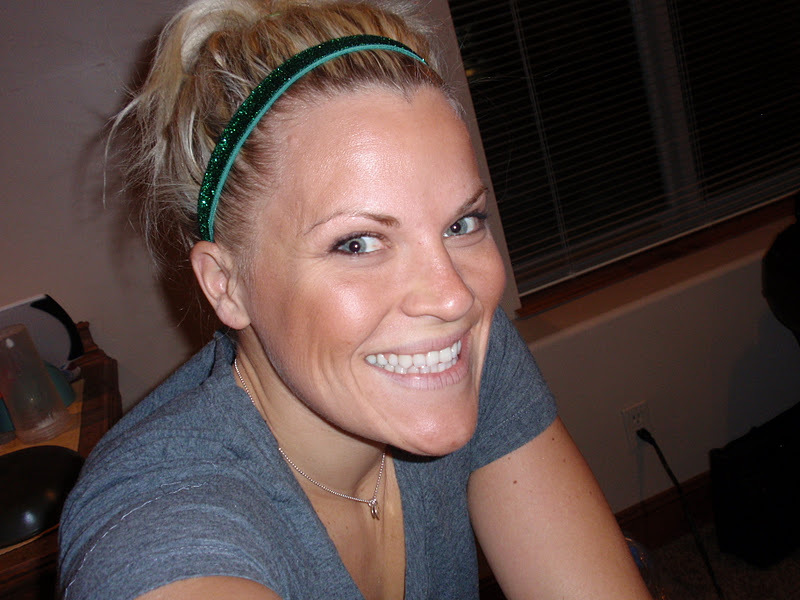 I have tried many athletic headbands before that claimed to be non-slip but each and every time, I’d get about a mile into my run and those headbands would slowly start to slip off. I saw these headbands and thought, “It’s impossible that these headbands are that cute and actually functional.” Well, turns out, they really are that cute and extremely functional. 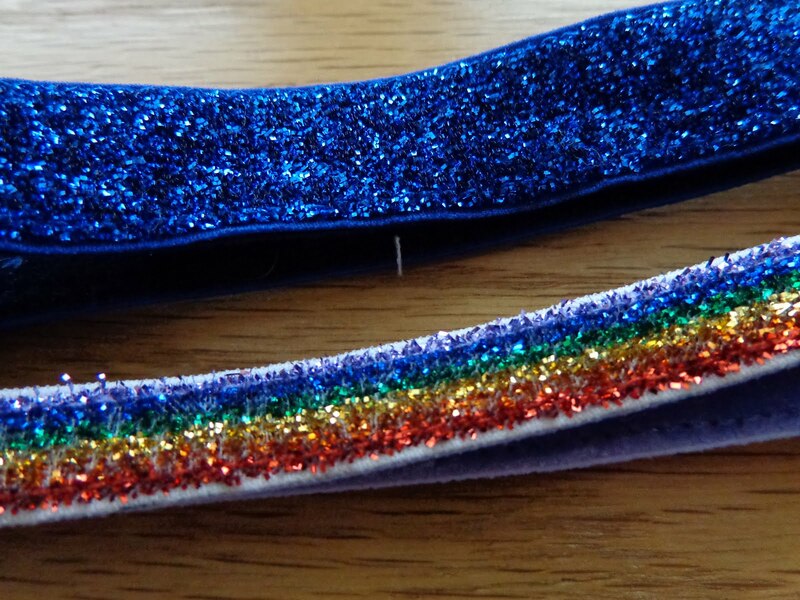 I’ve tested the Sparkly Soul headband on different types of runs- tempo runs, easy runs, long runs, sprints- and without fail it stays glued to my head. It even stayed on during a 12-mile run without me having to adjust it at all! The reason this adorable, sparkly headbands stay in place is because they are backed with a velvet-like material that grabs onto the hairs on your head. The headband stays put during other exercises as well. I tried it with yoga and it was fantastic. It didn’t budge when I did downward dog or slip when I did my vinyasa. I swear, it doesn’t move. -They survived playtime with the nearly-two year old (who, in spite of my big round tummy still thinks it’s fun to jump all over mommy and use baby as a spring board) without budging. -They survived me reorganizing my house after months of renovations and running (yes, I’m using that term somewhat liberally) up and down stairs, moving boxes, furniture, digging in and around my house. -They survived me sleeping. Yes, you heard me. My ultimate test was to wear my headband to bed and see where it ended up and how quickly it would slide off my head. I woke up in the morning and it was still on my head, right where I left it. “However, magic or not, I can tell you that Sparkly Soul headbands are awesome in many ways. They do not move at all. They are so comfortable that you don’t even notice them. I love how the whole band is stretchy with a velvety inside. So soft. No hair dents. They come in twelve awesome colors. There is a thin and thick option and they BOTH STAY ON. I had a thin sparkly band from another company. It once started slipping during a race and ended up being such a distraction that I finally took it off. No such problem here. manly, wearable and, with a few of our tips, can even help you save a few bucks.